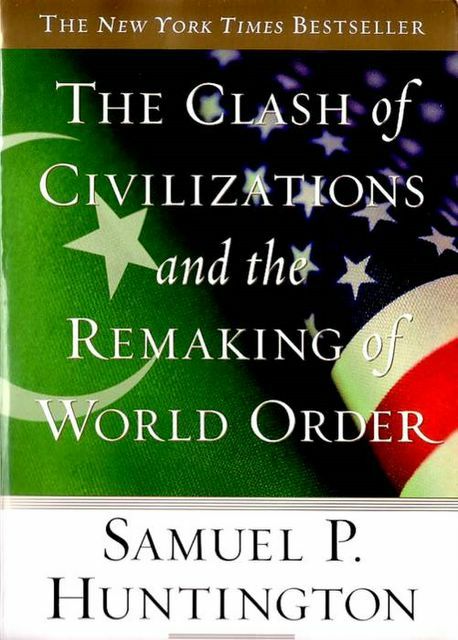 The Book of Samuel Huntington, ” The Clash of Civilizations and the Remaking and World Order”. « This is not a clash of civilizations because these murderers don’t embody any” claimed François Hollande in front of the French Congress a few days after the terrorist’s attacks in Paris in November 2015. If the former French president needs to specify that there isn’t any clash of civilizations it means this issue is still part of the conversation. Yet, Samuel Huntington published his article The Clash of Civilizations in Foreign Affairs on summer 1993. More than 20 years later, the debate is ongoing! No article Foreign Affairs has ever published made the noise this article has made. What was the main idea of Samuel Huntington? Has this main idea made such a noise? Or all that went with his main idea was responsible for it? Diplomats should be made aware the main theory of Huntington. His idea is that geopolitical actors have to take into account their membership in a broader civilization. The post-Cold War World order will give up the ideological rhetoric of the Cold War to adopt a civilizational one. According to him, international organizations and national governments have to follow the civilizational set they belong. Clashes shall appear between civilizations or inside a few number of countries. To take his own words, some countries are « cleft » countries or « torn » countries between two civilizations. Why is this theory controversial? Why did it create controversy whereas some thinkers like Fernand Braudel who adopted a more or less similar framework didn’t make any voices raise? Many have blamed the title of the article. A « clash of civilization » can’t be real and is far too simple. Huntington did simplify the world. He interprets the world through the prism of the civilizations and he gives a lot of credit to religion. The latter and particularly Islam is seen as a factor of conflict. Graham E. Fuller in A World Without Islam (2011) argues that a clash of civilizations has always been a fantasy. For him, religion doesn’t matter and if Islam didn’t emerge the conflict between the West and the Middle East would still exist. Many thinkers blame the strike of Huntington on Islam. Indeed he wrote, « Islam has bloody borders ». Noam Chomsky saw this theory as a way for the US to justify their interventionist policy. Edward Said pointed out this theory as a parody of « Hitlerian science directed today against Arabs and Muslims » (From Oslo to Iraq and the Road Map 2004). These critics mainly focused on Islam and on the simplicity of the title of its book. As a matter of fact, he had to clarify his opinion 4 years after he wrote the article. The book the Clash of Civilizations and the Remaking of World Order is much more comprehensive. Huntington describes a clash of Civilizations but he doesn’t clearly say that civilizations will fight the one with the others. He marks some countries as “torn” countries. This is, for instance, Turkey, split between its western and Islamic sides. Others are situated between two civilizations, they are “cleft” countries. The case of Ukraine is the best example. Deeply explained by Huntington 20 years prior the outbreak of the conflict in 2014, Ukraine was already split. Conflicts will take place according to this terminology. They will erupt in such countries then they shall concern the core states of each civilization. This core state is supposed to shield the other states from the same civilizations. What a great article! Thank you I was working on that theory and it helped me a lot to build my argumentation.